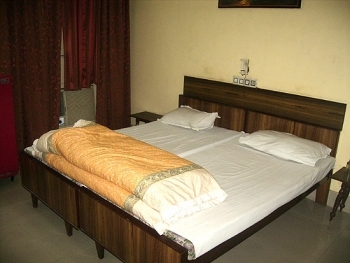 Hotel Kailash is a budget hotel which offers comfortable stay in Haridwar at economical rates. The Hotel is also within walking distance of one of the Haridwars greatest attractions, Hari ki Pauri. The atmosphere at Hotel Kailash is intimate & relaxing. The hotel provides a peaceful, pollution free & pictorious environment. 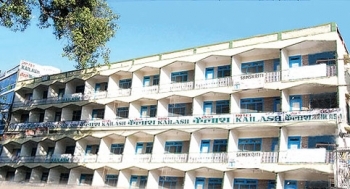 Kailash hotel is located close to city center, the Railway station and Bus stand is just 100 m from hotel. The famous Har ki Pauri is 1.5 kms from the hotel. The rooms of the Hotel Kailash have elegant and stylist decor. Classy furniture with all modern facilities is provided for your luxury and comforts. The rooms are provided with attached bathrooms with twenty four hours supply of hot and cold water. By Air : The airport of Dehradun is the nearest from Haridwar. It is known by the name of Jolly Grant Airport and is located approximately 35 km away from the holy city. By Rail : Haridwar has a railway station of its own, connected with all the major cities of India. Many trains coming from Delhi, Mumbai, Varanasi, Kolkata, etc halt here and bring in the large rush of visitors who come to take a bath in the waters of the holy Ganges. By Road : Haridwar, with it good road network, is easily accessible from the key cities in India. The city is around 215 km from New Delhi and since the National Highway passes through it, reaching there by road is not at all a problem. Our hotel is 1 km from main Har-ki pauri. Buses and taxis are easily available to and from the major cities like Delhi, Dehradun, Agra, Lucknow, Jaipur, etc.